High visibility on the road is critical to ensure that you will be safely seen. Ortlieb offers highly reflective solutions in the range of waterproof bike panniers: the High Visibility Line! The PU laminated Cordura fabric in black and radiant fluorescent signal yellow is interwoven with highly luminous reflective yarn. In the dark, the complete bag is rendered into a reflector. A trip at night is now safer as the fabric enhances your visibility and makes your presence highly visible. These fluorescent signal yellow - black fabric bike panniers enhances your visibility in dusk, dawn or bad weather. 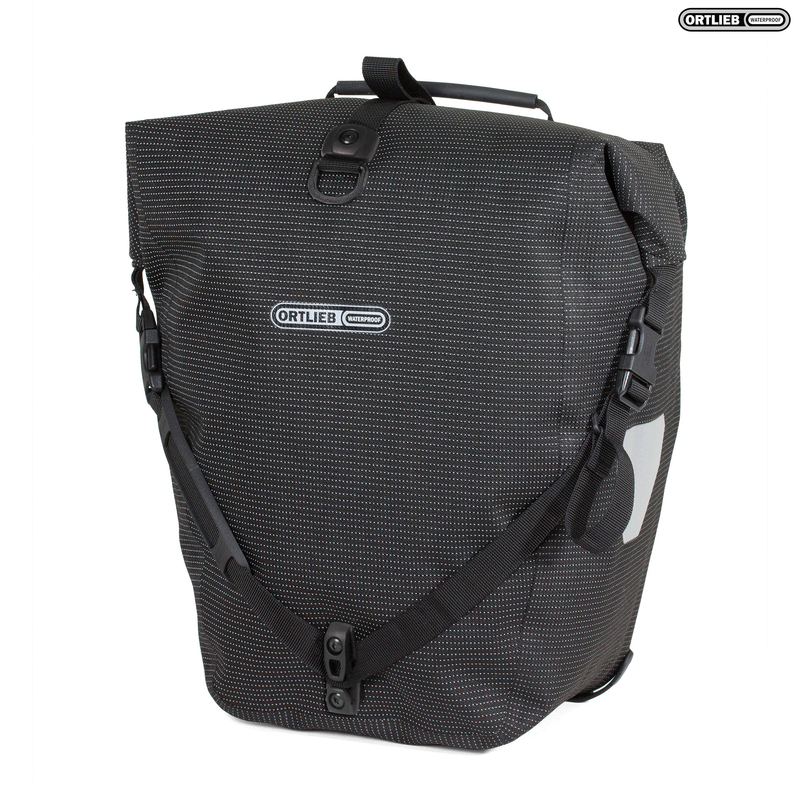 The tough rear pannier is 100% waterproof thanks to its handy roll closure. With its QL2.1 fixing it is quickly mounted and taken off the bike rack. And once you arrive at your destination, you can carry the Back Roller Plus just like a shoulder bag thanks to the included strap. Note: Can be combined with Rack-Pack size S or M on the rack.